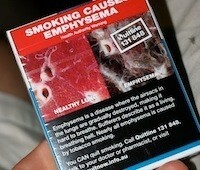 On December 1, 2012, Australia's mandatory standardized tobacco packaging legislation was fully implemented. This world first "plain packaging" scheme has been subject to a range of legal challenges, most notably through an unsuccessful constitutional claim launched by tobacco companies in the High Court of Australia, a complaint brought by Ukraine, Honduras and the Dominican Republic under the dispute settlement system of the World Trade Organization (WTO), and an investment arbitration commenced by Philip Morris Asia Limited against Australia. With the latter two disputes ongoing, and with the United States being required to adjust its own regulations prohibiting flavored cigarettes pursuant to a WTO ruling of 2012, tobacco raises vital current issues of global concern regarding the interaction between international trade law, international investment law, public policy, and public health objectives. In this presentation, Professors Mitchell and Voon will reflect on the implications of Australia's experience for international health law and policy, including in connection with the World Health Organization's (WHO) Framework Convention on Tobacco Control, the ongoing negotiations towards the Trans-Pacific Partnership Agreement (currently with 11 negotiating parties including the United States), tobacco control regulations around the world, and tobacco industry strategies. Andrew became a Senior Fellow of Melbourne Law School in 2002, joined full-time as a Senior Lecturer in 2006, and was promoted to Associate Professor from 2009 and Professor from 2012. He was previously a Solicitor with Allens Arthur Robinson in Australia and worked briefly at Davis Polk & Wardwell in New York. He has also worked in the Trade Directorate of the Organisation for Economic Co-operation and Development (OECD) in Paris, the Intellectual Property Division of the WTO in Geneva, and the Legal Department of the International Monetary Fund (IMF) in Washington DC. Andrew has been a Consultant to the IMF in its Geneva office (now closed), a Visiting Associate Professor of Law at Georgetown University, and Scholar-in-Residence at the International Arbitration Group of WilmerHale in London. He is a member of the Australian government's Expert Advisory Group for Plain Packaging of Tobacco Products and in 2011 was selected as an Austrade Visiting Researcher to Switzerland. Andrew regularly collaborates with government and intergovernmental organizations, NGOs and the private sector. Tania Voon is Professor and Associate Dean (Research) at Melbourne Law School, The University of Melbourne. She is a former Legal Officer of the WTO Appellate Body Secretariat and has previously practiced law with Mallesons Stephen Jaques and the Australian Government Solicitor. In addition to her current role, Tania has taught law at Georgetown University, the University of Western Ontario, the Australian National University, Monash University, and Bond University. Tania undertook her Master of Laws at Harvard Law School and her PhD in Law at the University of Cambridge. She has published widely in the areas of public international law and international economic law. She is the author of Cultural Products and the World Trade Organization (Cambridge: Cambridge University Press, 2007) and a member of the Indicative List of Governmental and Non-Governmental Panelists for resolving WTO disputes. Tania has provided expert advice and training to entities such as the Australian Department of Foreign Affairs and Trade, the WTO, the World Health Organization, Telstra, and the McCabe Centre for Law and Cancer.